As heightened as it may be for TV, many of the missions on History's ratings-champ drama SIX are, in fact, pulled from real-life operations undertaken by members of SEAL Team Six. 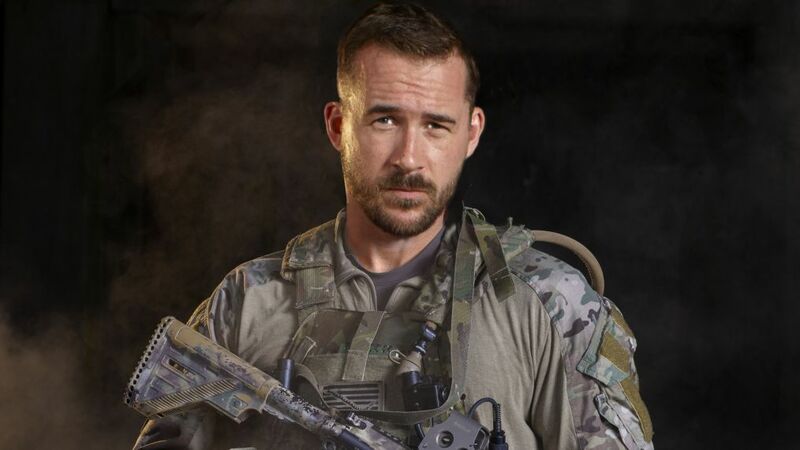 And for Barry Sloane, who plays team leader Joe "Bear" Graves, there's no higher honor than portraying of the men who serve the U.S.
"It's been one hell of a ride so far and a privilege—especially as a foreigner—to get the opportunity to tell the story of these men," says the Liverpool-born alum of Revenge and The Whispers, adding that the entire cast sees SIX as more than just a job. "It's very important to us to get this right and to [represent] the American members of the Armed Forces who we're speaking for." That call of duty, of course, included a grueling pre-filming boot camp designed to bond Sloane and his costars while also giving them a taste of what SEALs really go through. Given Bear's status and his own background, Sloane laughs that he may have had a target on his back during training. "It was really incredibly tough. And they went to town on me," he says good-naturedly. "Because I'm playing the leader of the group, I think they went at me hard. Like, 'F--k that English dude!'" Wednesday night, it's reality that hits Bear the hardest following the loss Buck (Donny Boaz) last week. In this exclusive clip from the hour, he drops the bravado of fighting out in the field to tell his wife (Briane Davis) that he failed his friend—which, Sloane says, is not so much a soldier's ego as it is the accountability these brothers-at-arms feel for one another. "These guys that we're playing, they don't think they're heroes at all," Sloane says. "Just meeting with [SEALs] who put us through training, there's a humility to them."